Welcome to Prepare for the PSA, a revision tutorial for medical students who are getting ready for the Prescribing Safety Assessment (formerly the Prescribing Skills Assessment). For an introduction to the exam format and links to further information, click 'What is the PSA?'. The main section of the tutorial is a practice exam, with personalised feedback and interactive learning exercises after each question. Click 'Take the Test!' to get straight on with the practice exam. For more information about the tutorial itself, including news, troubleshooting tips and a list of references, click 'About'. Prepare for the PSA is a collaborative project and we'd love for you to get involved. Help out by writing a question. We are unofficial! This site and its content are not endorsed by the Medical Schools Council or the British Pharmacological Society and its associated product, the PSA. 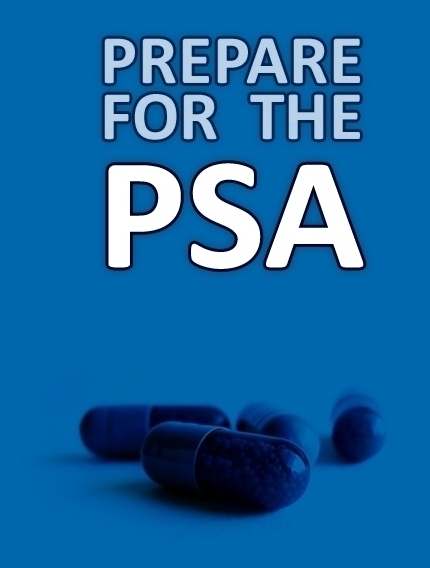 The PSA is a prescribing exam for final-year medical students, which was introduced in some UK medical schools from the 2013/14 academic year onward. The PSA is used as a formative assessment in some medical schools, and as a summative assessment in others. If your medical school uses the PSA as a summative assessment, your mark will not contribute towards your UK Foundation Programme application ranking, but you must pass in order to graduate and start work as a doctor. Click 'Rationale' or 'Exam Format' above for a quick introduction to the PSA. More detailed information is available on the official PSA Website. Click 'Resources' to access other online learning material about prescribing, including further PSA practice questions. Foundation doctors are expected to prescribe very frequently, and it is essential to patient well-being that they do so appropriately and safely. However, research indicates that newly-qualified doctors find prescribing particularly challenging, and the EQUIP study identified errors in 8.4% of the 50016 prescriptions written by FY1 doctors it reviewed in 2009. In Tomorrow's Doctors (2009), the GMC outlined a number of prescribing skills which all foundation doctors should possess. The PSA is designed to test these skills in final-year medical students to ensure that they are safe and effective prescribers once they start work. More information is available in the About the PSA section of the PSA Website. The PSA is a computer-based exam lasting two hours. The exam is divided into 8 stations and each station contains 6-8 questions. Candidates are provided with BNFs during the exam and are encouraged to use these to support their prescribing decisions. The real PSA contain four times as many questions as this tutorial and does not include feedback and interactive learning sections between each question. Detailed information about each station is available in the PSA Blueprint. See Appendix B of the Blueprint for a list of potential question topics. The PSA Website lists answers to other frequently-asked questions. The exam structure and layout used in this tutorial applies to the pilot PSA assessment and may not be precisely replicated in the final version of the PSA. Finished Prepare for the PSA? Try the links below for more practice exam questions and information on prescribing. Two practice exams are available on the official PSA Pilot website. If your medical school is participating in the PSA, you will be sent details of how to access this website prior to your exam. Five example PSA questions are given on the PSA Website and several more are available to download as PowerPoint files as part of the PSA question templates. Prescribe is an 'e-learning platform to help medical students and others develop a firm grounding in the principles of basic and clinical pharmacology'. Their e-Learning Resources section contains links to other useful websites. You can review these learning objectives after completing the test. Click on 'Navigation' to familiarise yourself with the test layout before starting. The layout of the test is different from that of the real PSA. Roll over different areas of the screenshot below for tips on using this tutorial. The questions and feedback activities should take around 45 minutes to complete. After each feedback section, you'll be given the option to retry the current question. Try using this feature to reinforce the knowledge you gain during the feedback activities. Your test questions will be randomly selected from our question bank. Taken the test before? Click the refresh button to change questions you've seen already. You may refer to the BNF or BNF Online throughout the test. NEW! We've updated the exam timer. It now displays your remaining time for the entire exam, and you'll still be able to complete the test if you run out of time. Prepare for the PSA was written by Finn Catling , an academic foundation doctor at North Middlesex Hospital, London. with any questions or comments. The project was conceived of and supervised by Dr. Robert Baker. Special thanks go to Prof. Simon Maxwell (PSA Medical Director) for his advice and encouragement during development of the tutorial. For more information on the project, take a look at our recent article in The Clinical Teacher. Click the questions titles below for authorship information. Written by Finn Catling (Medical Student, University of Bristol). Moderated by Dr. Robert Baker (Lead for Clinical Pharmacology and Therapeutics, University of Bristol). Written by Adam Youssef (Clinical Teaching Fellow, Gloucestershire Royal Hospital). Moderated by Dr. Andrew Stanton (Consultant in Respiratory Medicine, Great Western Hospital). Written by George Morris (Clinical Teaching Fellow, Royal United Hospital). Moderated by Robert Baker (Lead for Clinical Pharmacology and Therapeutics, University of Bristol). Written by George Morris (Clinical Teaching Fellow at Royal United Hopital, Bath). Moderated by Dr. Robert Baker (Lead for Clinical Pharmacology and Therapeutics, University of Bristol). Written by Amy Crees (Clinical Teaching Fellow, Royal United Hospital). Moderated by Jarrod Richards (Specialist Registrar in Geriatric Medicine, Royal United Hospital). Prepare for the PSA is licensed under a Creative Commons Attribution-NonCommercial 3.0 Unported License. Want to see this information during the test? Click the about button to view the references and authors of the current question. British Pharmacological Society, Medical Schools Council. About the PSA [internet]. Accessed 25/07/2012. Assessment Map [image on the internet]. Accessed 24/07/2012). Reproduced with permission of the Medical Schools Council and the British Pharmacological Society. meds [image on the Internet]. 2006. Accessed 25/07/2012. ©Maria Kaloudi. Reproduced with kind permission of Maria Kaloudi under license. Warning signs [image on the Internet]. 2011. Accessed 28/08/2012. ©Ambrozjo. Reproduced under license. teamwork concept [image on the Internet]. 2012. Accessed 28/08/2012. ©Svilen Milev. Reproduced under license. BNF Logo [image on the internet]. Accessed 06/07/2012. Reproduced with kind permission of the British Medical Association and the Royal Pharmaceutical Society of Great Britain. Clock illustration [image on the Internet]. 2009. Accessed 28/08/2012. ©Ivan Prole. Reproduced under license. Blank survey template 3 [image on the Internet]. 2012. Accessed 28/08/2012. ©Craig Parylo. Reproduced under license. refresh [image on the Internet]. 2012. Accessed 28/08/2012. ©Jayanta Behera. Reproduced under license. pencil [image on the Internet]. 2009. Accessed 14/10/2012. ©Robby Bergen. Reproduced under license. Green tick in circle [image on the Internet]. 2011. Accessed 14/10/2012. ©bzuko22. Reproduced under license. Joint Formulary Committee. British National Formulary. 63 ed. London: British Medical Association and Royal Pharmaceutical Society of Great Britain; 2012. The BNF is updated regularly and reference should be made to the most recent edition. PSA question structures and layouts reproduced with permission of the Medical Schools Council and the British Pharmacological Society. These structures and layouts apply to the pilot PSA assessment and may not be precisely replicated in the final version of the PSA. smart phone icon [image on the Internet]. 2012. Accessed 28/09/2012. ©Lora Williams. Reproduced under license. British Thoracic Society, Scottish Intercollegiate Guidelines Network. British Guideline on the Management of Asthma. London: British Thoracic Society 2012. Hodder, R., Lougheed, M.D., Rowe, B.H., FitzGerald, J.M., Kaplan, A.G. and McIvor, R.A. (2010) Management of acute asthma in adults in the emergency department: nonventilatory management. CMAJ, 182, E55-67.2. Urso, D.L. (2010) Treatment for acute asthma in the Emergency Department: practical aspects. Eur Rev Med Pharmacol Sci, 14, 209-14. Summary of Stepwise Management in Adults [image]. Adapted from British Thoracic Society and Scottish Intercollegiate Guidelines Network. British Guideline on the Management of Asthma. 2012, p. 48. Accessed 16/07/2012. Reproduced with kind permission of the British Thoracic Society and Scottish Intercollegiate Guidelines Network. National Institute for Health and Clinical Excellence. Venous thromboembolism: reducing the risk of venous thromboembolism (deep vein thrombosis and pulmonary embolism) in patients admitted to hospital CG92. London: National Institute for Health and Clinical Excellence 2010. National Institute for Health and Clinical Excellence. Colorectal cancer: the diagnosis and management of colorectal cancer CG131. London: National Institute for Health and Clinical Excellence 2010. Department of Health. Venous thromboembolism (VTE) risk assessment. London: Department of Health 2010. Regular Medications [image]. Taunton and Somerset NHS Foundation Trust. Medical Administration Record WZK2572. Reproduced with kind permission of Taunton and Somerset NHS Foundation Trust. Sakr M, Wilson L. Best evidence topic report. Aspirin and the risk of intracranial complications following head injury. Emergency medicine journal : EMJ 2005;22(12):891-2. Rogulj D, Hauptfeld M, Iskra MS, Zorko VK, Strasek M. Extreme hyperkalaemia caused by concomitant use of a NSAID and an ace inhibitor in an elderly patient. Arhiv za higijenu rada i toksikologiju 2010;61(2):241-5. Hollander-Rodriguez JC, Calvert JF, Jr. Hyperkalemia. American family physician 2006;73(2):283-90. National Institute for Health and Clinical Excellence. Osteoarthritis CG59. London: National Institute for Health and Clinical Excellence 2008. McVeigh G. Management of hyperkalaemia in adults. The Ulster medical journal 2005;74(2):75-7. ECG in hyperkalemia [image on the internet]. 2010. Accessed 18/07/2012 Mikael Haggstrom. Public domain. blood [image on the internet]. 2006. Accessed 18/07/2012 ©Griszka Niewiadomsk. Reproduced under license. Wilson JF. In clinic. Diabetic ketoacidosis. Ann Intern Med 2010;152(1):ITC1-1, ITC1-2, ITC1-3,ITC1-4, ITC1-5, ITC1-6, ITC1-7, ITC1-8, ITC1-9, ITC1-10, ITC1-11, ITC1-12, ITC1-13, ITC1-14, ITC1-15, table of contents; quiz ITC1-16. Savage MW, Sinclair-Hammersley M, Rayman G, Courtney H, Dhatariya K, Dyer P, et al. The Management of Diabetic Ketoacidosis in Adults: NHS Diabetes, 2010. Koul PB. Diabetic ketoacidosis: a current appraisal of pathophysiology and management. Clin Pediatr (Phila) 2009;48(2):135-44. Kitabchi AE, Umpierrez GE, Miles JM, Fisher JN. Hyperglycemic crises in adult patients with diabetes. Diabetes Care 2009;32(7):1335-43. Me in the ER [image on the internet]. 2008. Accessed 12/07/2012. ©Robynne Blume. Reproduced under license. IV [image on the internet]. 2010. Accessed 12/07/2012. ©Jonathan Percy. Reproduced under license. Exit Sign [image on the internet]. 2008. Accessed 12/07/2012 ©Btafly. Reproduced under license. Rang HP, Dale MM, Ritter JM, Flower RJ, Henderson G eds. Rang & Dale's Pharmacology. 7th ed. Edinburgh: Elsevier/Churchill Livingstone 2012: 326-330. Arthritis Research UK. Methotrexate [pamphlet]. Chesterfield: Arthritis Research UK 2011. Methotrexate Teva 100mg_ml 1x50ml [image on the Internet]. 2011. Accessed 24/07/2012. ©Haukeland universitetssjukehus. Reproduced under license. Keady S. Calculations for the Prescriber. In: Shulman R, Montgomery H, Ng J, Keady S eds. Surviving Prescribing: A Practical Guide. London: Remedica 2007: 171-175. Ampule and syringe [image on the Internet]. 2009. Accessed 21/07/2012. ©Leonardini. Reproduced under license. Maths Calculator [software]. Accessed 21/07/2012. ©www.online-calculator.com. Reproduced under license. Calculator [software]. 2010. Accessed 13/08/2012. ©Ramesh Nair. Reproduced under license. Pills [image on the Internet]. 2008. Accessed 21/07/2012. ©Aleksandra P. Reproduced with kind permission of Aleksandra P under license. Elliott WJ, Ram CV. Calcium channel blockers. J Clin Hypertens (Greenwich) 2011;13(9):687-9. Weir MR. Incidence of pedal edema formation with dihydropyridine calcium channel blockers: issues and practical significance. J Clin Hypertens (Greenwich) 2003;5(5):330-5. Rang HP, Dale MM, Ritter JM, Flower RJ, Henderson G eds. Rang & Dale's Pharmacology. 7th ed. Edinburgh: Elsevier/Churchill Livingstone 2012: 254-264. Scottish Intercollegiate Guidelines Network. Management of stable angina. Edinburgh: Scottish Intercollegiate Guidelines Network 2007. Nitro. [image on the Internet]. 2011. Accessed 14/07/2012. ©James Heilman. Reproduced under license. Aubrun F, Mazoit JX, Riou B. Postoperative intravenous morphine titration. British journal of anaesthesia 2012;108(2):193-201. Holmes J, Maye JP. Postoperative respiratory depression and unresponsiveness following epidural opiate administration: a case report. AANA journal 2004;72(2):126-8. Jarzyna D, Jungquist CR, Pasero C, Willens JS, Nisbet A, Oakes L, et al. American Society for Pain Management Nursing guidelines on monitoring for opioid-induced sedation and respiratory depression. Pain management nursing : official journal of the American Society of Pain Management Nurses 2011;12(3):118-45 e10. Ramsay MA. Acute postoperative pain management. Proc (Bayl Univ Med Cent) 2000;13(3):244-7. A patient-controlled analgesia infusion pump, configured for intravenous administration of morphine for postoperative analgesia. [image on the Internet]. 2010. Accessed 16/07/2012. ©DiverDave. Reproduced under license. Tamargo J, Delpon E, Caballero R. The safety of digoxin as a pharmacological treatment of atrial fibrillation. Expert opinion on drug safety 2006;5(3):453-67. Smellie WS, Coleman JJ. Pitfalls of testing and summary of guidance on safety monitoring with amiodarone and digoxin. BMJ 2007;334(7588):312-5. National Institute for Health and Clinical Excellence. The management of atrial fibrillation CG36. London: National Institute for Health and Clinical Excellence 2010. Rapid atrial fibrillation at a rate of 150. [image on the Internet]. 2010. Accessed 19/07/2012. ©James Heilman. Reproduced under license. Hennessey JV, Scherger JE. Evaluating and treating the patient with hypothyroid disease. The Journal of family practice 2007;56(8 Suppl Hot Topics):S31-9. Baskin HJ, Cobin RH, Duick DS, Gharib H, Guttler RB, Kaplan MM, et al. American Association of Clinical Endocrinologists medical guidelines for clinical practice for the evaluation and treatment of hyperthyroidism and hypothyroidism. Endocrine practice : official journal of the American College of Endocrinology and the American Association of Clinical Endocrinologists 2002;8(6):457-69. Mayne N. Therapeutic Drug Monitoring. In: Shulman R, Montgomery H, Ng J, Keady S eds. 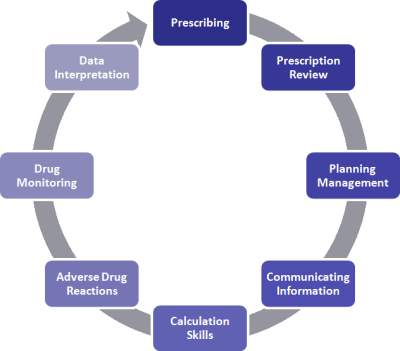 Surviving Prescribing: A Practical Guide. London: Remedica 2007: 171-175. IMG_9035 [image on the internet]. 2009. Accessed 26/07/2012. ©Neeta Lind. Reproduced under license. Sedrakyan A, Hebert P, Vaccarino V, Paltiel AD, Elefteriades JA, Mattera J, et al. Quality of life after aortic valve replacement with tissue and mechanical implants. The Journal of thoracic and cardiovascular surgery 2004;128(2):266-72. Wysowski DK, Nourjah P, Swartz L. Bleeding complications with warfarin use: a prevalent adverse effect resulting in regulatory action. Archives of internal medicine 2007;167(13):1414-9. Vicchio M, Della Corte A, De Santo LS, De Feo M, Caianiello G, Scardone M, et al. Tissue versus mechanical prostheses: quality of life in octogenarians. The Annals of thoracic surgery 2008;85(4):1290-5. Keeling D, Baglin T, Tait C, Watson H, Perry D, Baglin C, et al. Guidelines on oral anticoagulation with warfarin - fourth edition. British journal of haematology 2011;154(3):311-24. Warfarintablets5-3-1. [image on the internet]. 2004. Accessed 19/07/2012. ©Gonegonegone. Reproduced under license. Is the tutorial compatible with my browser? Prepare for the PSA has been tested using Microsoft Internet Explorer 8 and higher; the latest versions of Mozilla Firefox, Google Chrome and Opera for PC; Safari for Mac; and the built-in browser for Android devices. If you are having display problems, make sure you are you using the latest version of your internet browsing software. The menu buttons aren't working properly. The tutorial uses a cookie to keep track of your progress through the test. No personal information is stored and the cookie is erased when you close your browser. If you are happy to receive the cookie, just continue using the tutorial. Alternatively, you can learn more about cookies and how to change your settings. Note that the tutorial will not function correctly if you decide to not to allow cookies. The tutorial doesn't fit into my browser window. Try setting your screen resolution to 1024x768 (or higher) and maximising the browser window. Alternatively, you can use your browser's zoom feature to make the tutorial appear smaller. The drag-and-drop exercises on the feedback pages aren't working properly. The drag-and-drop exercises are Flash content and may not function properly on some iDevices. The amount of Flash content has been deliberately kept to a minimum so as to minimise the impact on users of these devices. I want to view a specific test question. First, check whether the question has been included in your test using the Select a Question menu. If it has not been included, use the refresh button next to the question title to cycle through other available questions. NB. Before using the refresh buttom, make sure you are viewing a question of the same type as the specific question desired (e.g. if you want to view a specific Prescription Review question which is not included in your test, select one of the included Prescription Review questions using the Select a Question menu, then use the refresh button). I've noticed a mistake on the website! Please and let us know about the mistake. We'll get it corrected ASAP. and we'll try to help! Click this button for information about the question authors and a list of references. This bar shows your progress through the tutorial. This box tells you how much time you have remaining. Put your answers here by ticking boxes/filling in text/etc. 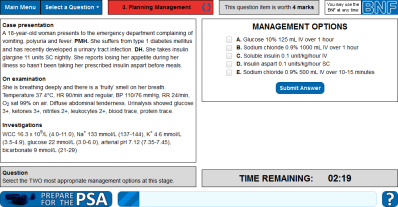 This box poses a question based on the clinical scenario. This box explains the clinical scenario on which the question is based. Click this box to visit BNF Online. You may refer to the BNF throughout the test. The amount of marks the current question is worth is shown here. The current question title is shown here. If you've seen this question before, press the 'refresh' button to switch to a different one. Use these buttons to change question, see your test results or to return to the main menu.